E-LIQUID PERSEUS (flue cured tobacco)﻿, 0 mg/ml. Available in bottles of 10 ml with dropper. 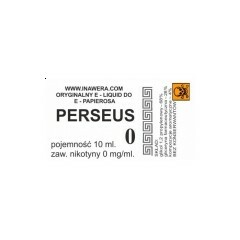 E-LIQUID PERSEUS (flue cured tobacco)﻿, 0 mg/ml.